It is good to speak to you again, I managed to finish Crossing the Line in just two sittings with the major sitting having read the rest of the book in one go from page 22. I found Nick a really fascinating boy and thought he was believable which then made me full of admiration for you. I have tried once to write as a male character and gave up but here was Nick and I wasn’t thinking this is Gillian writing as Nick – no, Nick was real I believed in him and found myself totally absorbed in his world. Boy, did this book make me think, was it one of the most amazing adventures my imagination had ever been on? Yes, it was and now it’s over I wish I’d not done it in one sitting! But I will enjoy re-reading Crossing the Line again looking at it next with a writer’s eye and enjoying this book from a different perspective – enjoying how you have managed the craft of writing. Like a lot of villains (but not all! ), Mickey was quite hard to write when I started out. I knew he was more the bad guy than Kev, so I found it easier to relate to his little brother. But as always happens, I got to know him better as I wrote him. In many ways he’s very like Nick – he too looks after his younger sibling – but he has gone about things in a far more extreme and violent way. Nick looks up to Mickey, and I think it’s quite a close call as to whether Nick will go the same way. In the end, I did feel a certain amount of sympathy for Mickey. Not a lot, but I don’t think I could have written him if I couldn’t see things at least to some degree from his point of view. You know, I’m not sure. I’m never sure at the end of a book quite how things will go – I might have a vague idea, but to know for sure I’d have to write a sequel. After all, the book itself changed in all sorts of small ways while I was writing it, and I’m sure the same would happen with any further story. I do like to think, though, that Nick’s parents get a bit of a grip on themselves. Dad’s more likely to do that than Mum, I can’t help thinking! My friend Gerry has told me I must read Bad Faith by Gillian Philip next as it is another amazing read. I will do Gerry! Thanks Gillian, I loved chatting to you and can’t wait to read more about your totally believable characters and get absorbed into their worlds. Today I had the opportunity to interview the wonderful blogging dog called Dylan. As a reviewer for TLC magazines my daughter Katy aged 9 was delighted to find a signed copy of Castle of Shadows in her possession this morning. I haven’t heard a murmur from her, as she sits curled up on the sofa with her head in this gorgeous book. I’m waiting for her to finish chapter one so I can read it! The cover is gorgeous and is eye-catching, both Katy and I read the blurb and automatically we knew this was going to be a book we wanted to read – I think we are both going to enjoy this shadowy world and are keen to discover why the Queen disappeared! like smoke from a witches cauldron. Had a wonderful time on the phone to Mr A last night and I am so excited about all the dragon related drawing and writing and drama happening in Mr A’s South London Primary School. 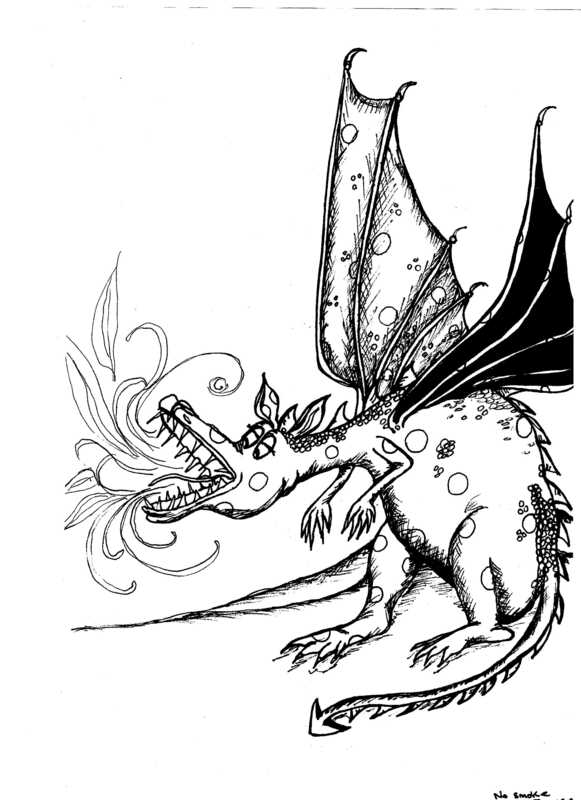 Today’s assembly sounds like it is going to be brilliant – Mr Airey has chosen My Pet Dragon by Michael Alexander to read and do a ‘poemwhoosh’ with the children. A ‘poemwhoosh’ means someone from the audience gets up and acts out what they think is happening in the poem until they hear whoosh then they sit down! Sounds fabulous. Mr Airey says that the children have been so inspired by the project that there has been an increase in children writing independently and at home. The poetry has inspired the children and he has found that they have really expanded the number of adjectives and descriptive phrases they use. It has been wonderful to hear that even the nursery children have been drawing dragons and have enjoyed listening to the There’s No Smoke Without Dragons poems. I think it just goes to show what a great collection of poems we have that they appeal to children of all ages and adults too! I can’t wait to speak to Mr A tonight and find out how the poetry whooshing went!